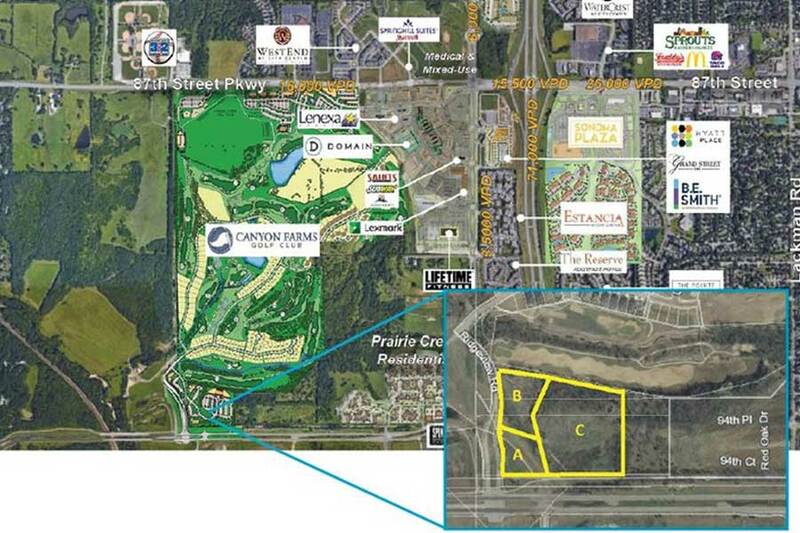 Prairie Star Pkwy & Ridgeview Road is the south office park (10.8 Acres) at Cottonwood Canyon is a one of a kind park-like setting zoned neighborhood office currently planned with 3 office lots. 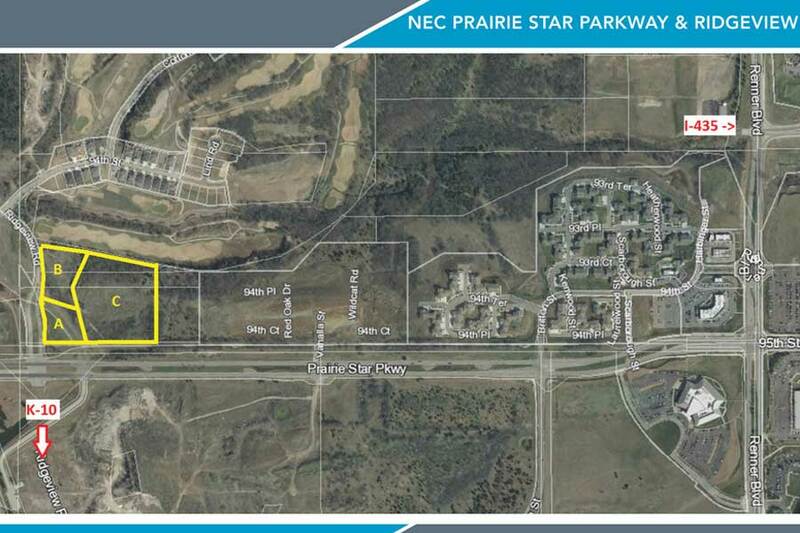 Lot 1 (A) is a highly visible 1 story, 10,000 sf bank or office pad on the northeast corner of Prairie Star Parkway and Ridgeview Rd with a 50 car parking lot. North of lot 1, lot 2 (B) offers scenic views of Canyon Farms Golf Club hole 14 green with space for a 16,000 sf, 2 story building and a 64 car parking lot. 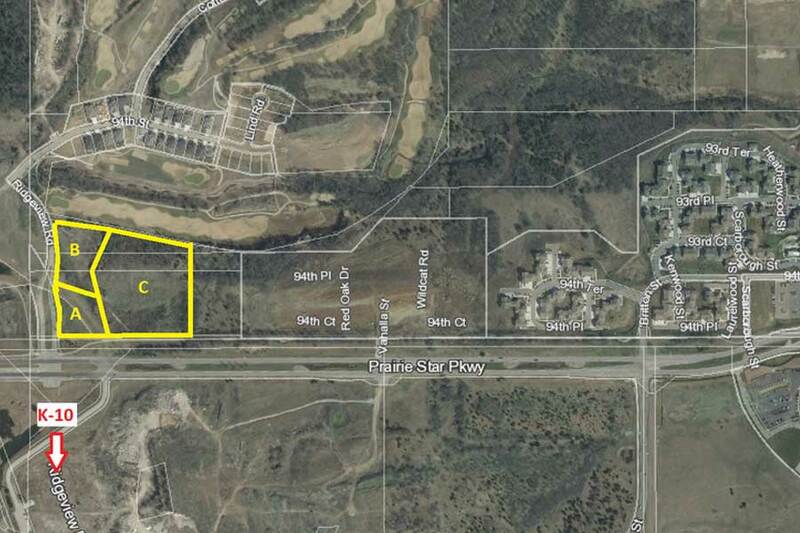 Both lots 1 and 2 have sweeping views of Mill Creek Valley to the west. Lot 3 (C), at the rear of the property on top of the hill, sits 40 feet above hole 14 fairway and hole 15 green of Canyon Farms Golf Club with dramatic views north all the way to Lenexa City Center. Lot 3 is perfect for either a 3 story 100,000 sf building or 3-4 smaller office buildings and a 400 car parking lot. From I-435, take 95th St / Prairie Star Parkway west. Turn right onto Ridgeview Road. 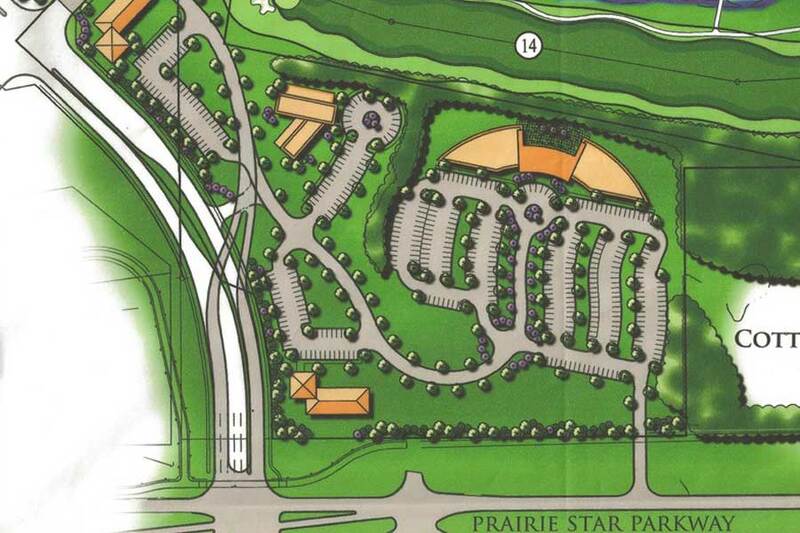 Site is on the northeast corner of Prairie Star Parkway at Ridgeview Road in Lenexa, Kansas.